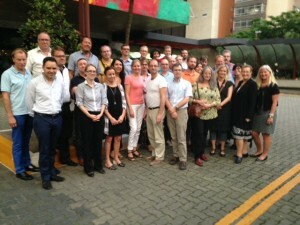 During Monday and Tuesday the Swedish Excellence Seminar took place in São Paulo, Brazil. 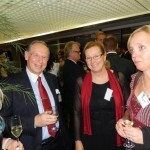 This was a joint arrangement between Lund University, the Royal Institute of Technology, Linköping University, Halmstad University and Uppsala University. Several of our scientists gave lectures: Johan Rönnelid , Olle Eriksson, Carlos Moyses Araujo , Bryndis Birnir , Janaine Goncalves and Leif Kirsebom. Kickoff meeting for the Swedish Delegation for the Swedish Excellence Seminar. 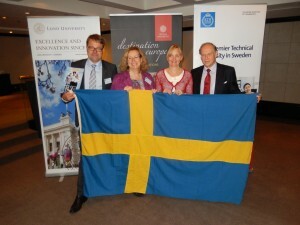 At the same time, Science Without Borders held activities where eight Swedish universities made a joint road show and visited different universities in Brazil. I think it’s fantastic that Swedish universities cooperate on an international level, and I would like to see more of this in the future. We have had several discussions with representatives of various universities and financiers that will lead to increased cooperation in the future. 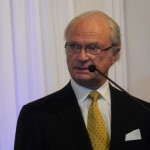 And as if that wasn’t enough, the Royal Swedish Academy of Engineering Sciences journey to Brazil, called the Royal Technology Mission, also took place during these days. 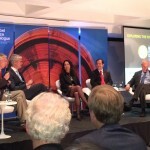 We met on Monday at the inauguration of the exhibition “The Nobel Prize : Ideas changing the world”.